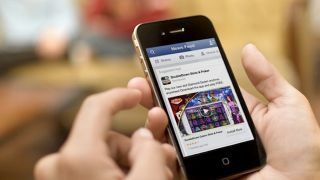 A class action lawsuit filed against Facebook in the European Union over the way it handles user data has reached its target of 25,000 supporters, all of whom will now be requesting damages. The suit, filed against Facebook earlier this week, alleges the way the social network monitors its users around its site and across the web contravenes EU data protection laws. The plaintiff, Max Schrems, is campaigning against products like Graph Search, which shows other users' activity on the site, and external website tracking through the Facebook Like button. 26-year old Schrems, from Vienna in Austria, wants Facebook to pay damages of €500 ($667, £396) to each of the first 25,000 people who signed up to the cause. Schems, who is also concerned about the way Facebook is using Big Data to gain insights into users habits, as well as its relationship with the NSA, plans to share the funds among supporters if he wins. He told the BBC: "It is not an epic fight with Facebook but more of a general question of where we are going and if we respect our fundamental rights in Europe. "Right now I have the feeling that we love to point the finger at the US in Europe, and say they are not respecting our privacy. But the reality is that we don't really do anything about it - we complain, then go home and drink beer." Facebook has yet to comment on the case.